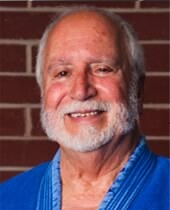 On April 27, 2004, at the age of 67, Mr. Nissan Zahavi earned his 4th degree black belt from the United States Judo Federation. Introduced to judo 31 years earlier, Nissan never faltered in his commitment to a sport frequently cited as the most demanding form of martial arts. Unlike most martial arts, progressing to a higher level in judo requires not only demonstration of superior physical skills and technique, but advanced mental and moral development as well. Defying the challenges, Nissan, now age 74, expects to earn his 5th degree black belt soon. Acquiring the skills necessary to earn the exalted 4th degree required exceptional discipline, focus and commitment, both physically and mentally. That’s one reason why judo is less popular among children and teens than other martial arts – many believe it requires too much time and effort. As much an art as it is a sport, judo demands inner strength and maturity, qualities that are only possible through age and life experience. Qualities that aptly define Nissan Zahavi. Born in French Morocco, Nissan lived in Israel before immigrating to the United States in 1965. While in Israel, he served six years in the Israeli Army, considered by many as the world’s toughest, most demanding military program. It was there that Nissan was introduced to the rules, rituals and skills of judo. Since that introduction, his appreciation for the sport has never waned. He is now honing his skills at a martial arts facility in Belle Chasse and passing on the skills he has learned to the black belts of tomorrow (which happen to include his three children and four grandchildren). For Nissan, while continually learning and growing personally, life experience has underscored the importance of sharing the gifts he has received with others. Nissan Zahavi… Peoples Health Champion.